Mont Bleu is a wholesale Czech glass and crystal nail file distributor. 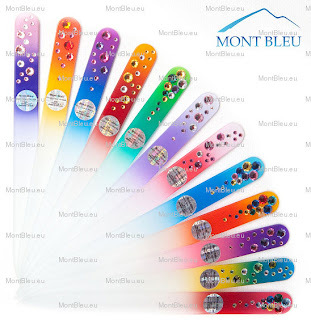 Each nail file is hand-crafted, and even have Swarovski crystal elements. 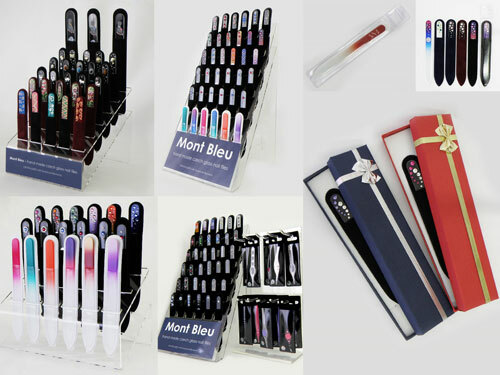 An attractive and vast range of nail file sets to choose from, you will find the style and look you love. As you see, not all have adornments on them. Though the decorated nail files are beautiful. I like the use of them rather than metal nail files. The file evenly and smooth, and in fewer strokes. They really work better at making sure your nail gets shape instead of scraping the nail off, and getting a jagged look when using metal nail files. I will never use anything else but these Czech glass and crystal nail files again! I highly recommend you get some too!!! DISCLAIMER: This is a paid post. I am compensated, though the opinions are my own.